This past month Williams&Crosby are pleased to have welcomed Starkey Hearing Technologies as a new client. Established in 1967, Starkey Hearing Technologies are an internationally renowned company who develop and provide the very latest in hearing aid technology. As a company they have a strong philanthropic ethos; they believe in bringing people together and helping them to realise their full potential. As such, with every Starkey product that is purchased, a donation is made to the Starkey Hearing Foundation, a charity aimed at providing people around the world with the gift of hearing. Williams&Crosby are extremely proud to be working alongside Starkey as they exhibit their incredible wide range of products at conferences and exhibitions across the UK in 2016. 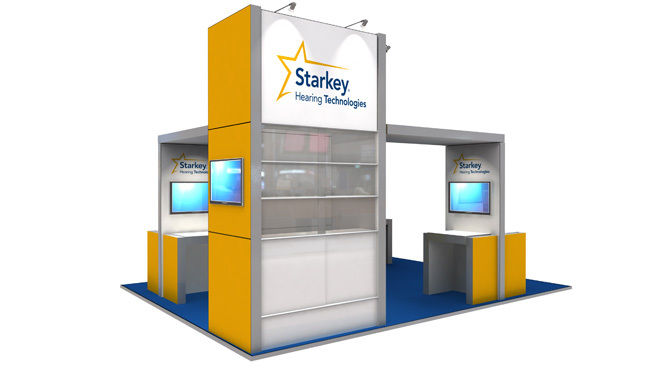 We have designed and developed a new stand to fully showcase their products and services, which we will be installing and managing for Starkey at events throughout the year. It began with the launch event to unveil their latest product “Muse” at the Midland Hotel in Manchester earlier this month and following on from the success of this event, we are scheduled to assist with further events all the way up until November. …Just to give you an insight into the creative process! 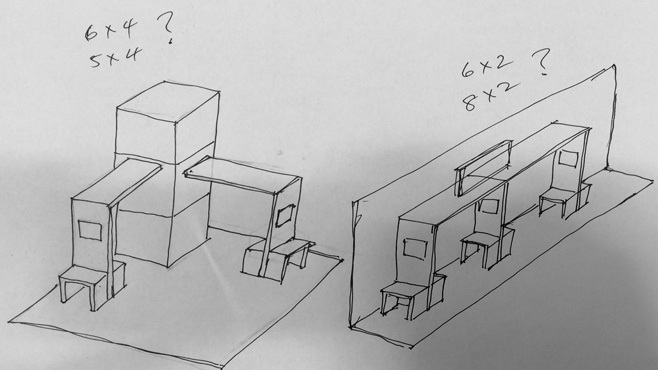 Take a look at the above images to see the exhibition stand design, from rough sketch to end product. We look forward to working on these projects and hope to be able to continue helping to promote and showcase Starkey’s groundbreaking technology in the future.